Do you know what we actually mean by voice search? Well, it’s a great search feature which is getting quite a popular day by day and is being appreciated by people all across the world. No matter what device you are using, the availability of a digital personal assistant will provide you with this amazing feature. You must have used Google voice for sure! Other similar applications include Apple’s Siri, Microsoft Cortana, and Amazon Echo Alexis. With the increasing number of people using voice search, it will definitely have an impact on several digital marketing strategies, including SEO (search engine optimization), content marketing and social media marketing among others. 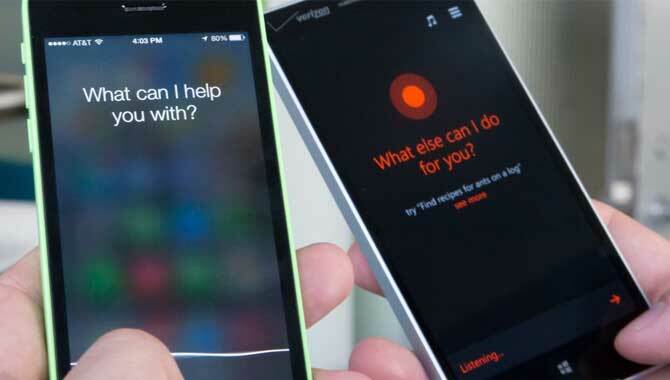 Wondering how can voice search affect the growth of your business? You will get to know about it while reading the blog! Let’s first understand how the increasing use of voice search will disrupt your current digital marketing strategies. The arrival of voice search has shifted the behavior of the users from typing in the keywords in the search engine to searching something by using their voice to ask the questions. Since the majority of people are using voice search while conducting their search, keyword searching is decreasing gradually. This will thus affect the sites optimized for keywords and will lead to a decrease in website traffic as well as engagement. The growth of this feature is giving people an opportunity to bring in more and more questions without even using your fingers to type in. This has actually increased the number of search queries starting with question form such as what, who, how, and where. So, customers are now asking questions to the Internet in the same way as they ask an individual. So, how will you adjust in order to bring in your content on the search page when users find it through voice search? Well, for this, you need to give less preference to keyword stuffing and Meta tags and take into account the full sentences including natural language questions. Create a content in such a way that your content appears to the users in the way you would answer in person. The results associated with a voice search emphasize more on a content that is written in a way a publisher or a journalist writes content. Related: How Google’s AMP Will Influence Your Online Marketing? Are you wondering how can you maximize the benefits of this growing trend, voice search? Here you go..
Take into account the most common questions asked by your potential customers. Search product forums, sites like Quora (questions and answer site), and other similar sites. Also, search comments on several review sites, including Trip Advisor, Yelp, and Amazon among others. Survey different individuals and examine your own social media accounts for common questions. Are you not having any question & answer section on your site? Add it now! Use these common questions in the voice search and see what kind of answers the search engine exhibits. You can do so by using Google voice, Cortana, Siri, or Alexis. Use any of them and see what appears in the search engine result page. Following this process will help you examine the current competition, and will assist you in structuring your own answers for different common questions. Create website and social media content in a way that it answers those common questions in a simple and clear way. Imagine the questions in the form of what, who, how, or where, and include on your website and social media content the direct answers. Let the users visit your site once and then you can expand the topic to discuss it in detail. Do take into account all content that an individual can search like blogs, press releases, and many more. A business based on a physical address can make use of local voice search to target the potential customers. That being said if you own a shop or a restaurant, that you need to consider the questions based on geo-location. However, you need to ensure if your business is listed with physical locations in Google+ Local. Related: How to Use Online Marketing to Achieve Success in a Business? The increasing use of voice search is also showing its impact on the users who look for different types of products online. As per the survey conducted, about 50 percent of users are making use of this feature while researching about the products. If you want these 50% of users to find your content, you need to put in some effort and must take into account the new strategies with the focus on natural language on the keywords searched by the users. Optimize your website, blogs, and other media related pages to match the information that is being preferred for the voice search. Bring in the new information in your website and incorporate the right structure in order to get your content into focus. Endeavor to work on quality and stay ahead of your competitors to increase the traffic of your website. Not only the voice search optimized content will help you increase the traffic, but it will also engage more potential customers as they will be getting direct and clear answers for all their common questions. The use of voice search optimized content will lead you to the most relevant social content, thus increasing the number of views as well as shares. Creating a content in line with the natural language search will help you think more like a customer, which will, thus, help you understand the requirements of your target audience. Knowing the exact needs of the customers will motivate you to come up with new ideas which you can use to enhance your business offering. If you think you need to adjust your digital marketing strategy in terms of voice search, Mamsys, one of the reliable online marketing companies, will help you analyze the change that you must incorporate to attain the required results.